General Motors Korea has announced Kaher Kazem as the successor to James Kim in the role of president and CEO. Kazem, the current president and managing director for GM India, is also expected to be appointed Chairman of the company’s Board of Directors. Kazem’s appointment takes effect on August 31st. 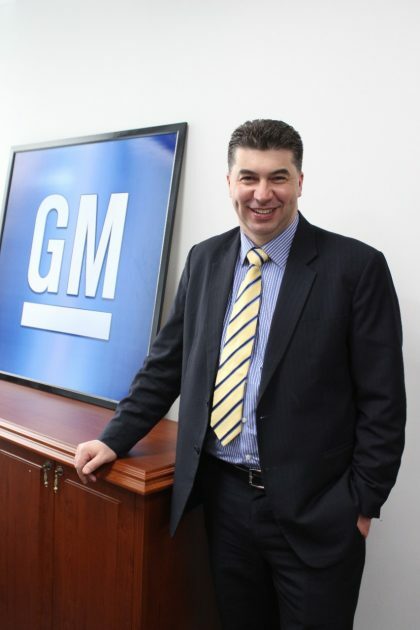 He has been with General Motors for more than two decades, starting in 1995 with Holden Manufacturing Operations in Australia and working his way up to a number of key roles with GM Thailand and ASEAN, GM Uzbekistan, and GM India. Replacing Kazem as President and Managing Director of GM India is current Chief Financial Officer Sanjiv Gupta. Gupta will retain his responsibilities as CFO while simultaneously accepting his new duties. Gupta has been part of GM since 2003; prior to taking his current position with GM India in May of last year, he served as the Finance Director of North America Financial Planning and Analysis and the Finance Director of US Sales and Marketing. His appointment takes effect September 1st. “Sanjiv Gupta is an experienced GM leader who has been a driving force behind our strategy. Sanjiv will continue to lead our plan to achieve better financial performance in India,” said GM Executive Vice President and President of GM International Stefan Jacoby.